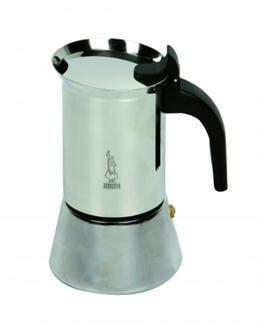 The genuine traditional Italian coffee maker in aluminium that can also make cappuccino and genuine espresso italiano. 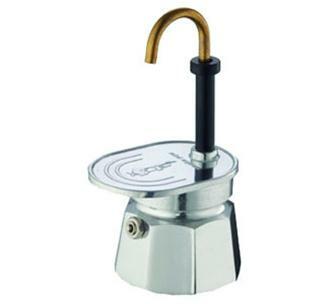 Italian coffee maker individual fountain, hot coffee flows directly into the cup. 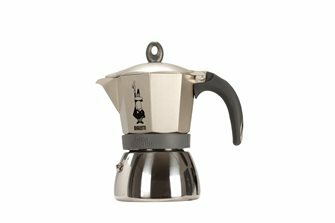 The genuine original Italian coffee maker in aluminium for making 3 cups of expresso coffee. Bakelite handle. 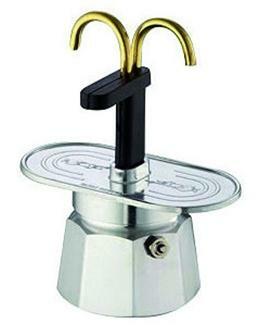 Italian coffee maker fountain, hot coffee flows directly into 2 cups. The genuine original Italian coffee maker in stainless steel for making 4 cups of expresso coffee. Bakelite handle. All hobs including induction. The genuine original Italian coffee maker in stainless steel for making 6 cups of expresso coffee. Bakelite handle. All hobs including induction. 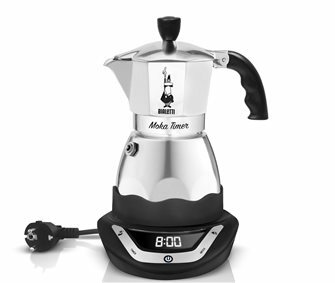 The genuine original Italian coffee maker in aluminium for making 6 cups of expresso coffee. Bakelite handle. 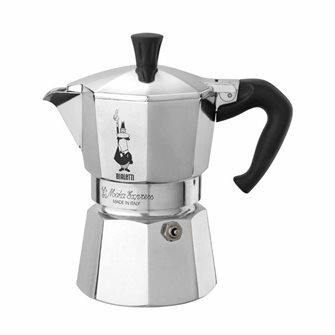 The genuine original Italian coffee maker in aluminium for making 9 cups of expresso coffee. Bakelite handle. 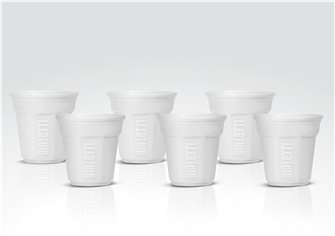 The genuine original Italian coffee maker in aluminium for making 12 cups of expresso coffee. Bakelite handle. 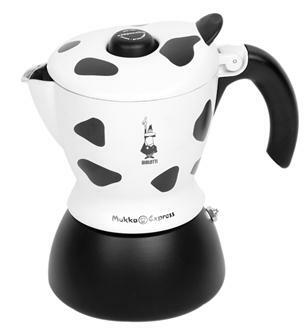 Italian cappuccino coffee maker, design "cow" to make 2 cups of cappuccino coffee. The genuine original 18 cup Italian coffee maker in aluminium for making expresso coffee. Bakelite handle. 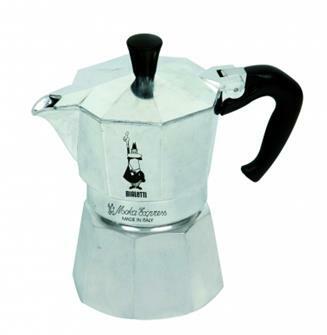 The real original Italian aluminum coffee maker to make 2 cups of espresso coffee. Handle Bakelite. 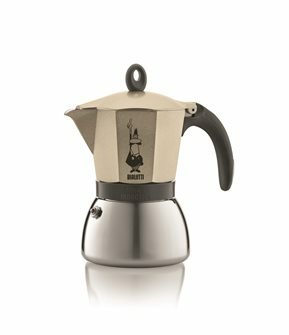 La véritable cafetière italienne originale en aluminium pour faire 4 tasses de café expresso. Manche en bakélite. 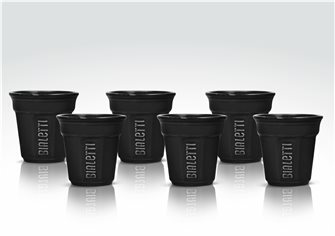 Set of 6 black Bialetti ceramic cups - octagonal shape. 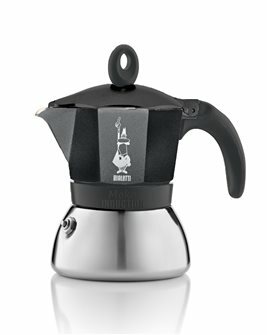 Cafetière italienne induction dorée 6 tasses avec collecteur en aluminium. 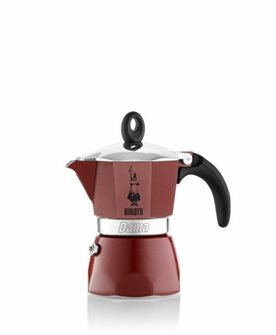 Red aluminium Italian coffee maker - 3 cups. Electric Italian coffee maker with programmer - 3 cups. Electric coffee maker with programmer for 6 cups. 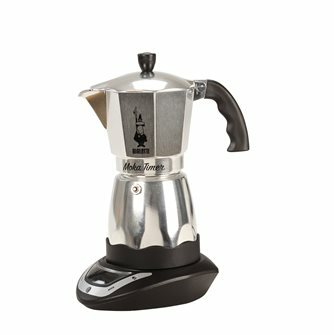 Cafetière italienne électrique avec programmateur pour 6 tasses. 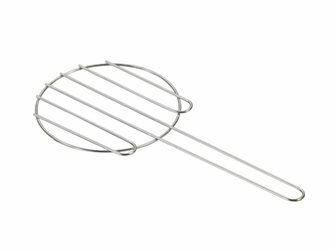 Réducteur de gazinière pour poser petites casseroles et cafetières sur le gaz. En acier zingué, diamètre 14 cm. Italian induction coffeemaker black - 3 cups - with an aluminium coffee collector.